Recently, I posted a request to gardening bloggers asking for methods to protect tomatoes from being eaten by varmints. 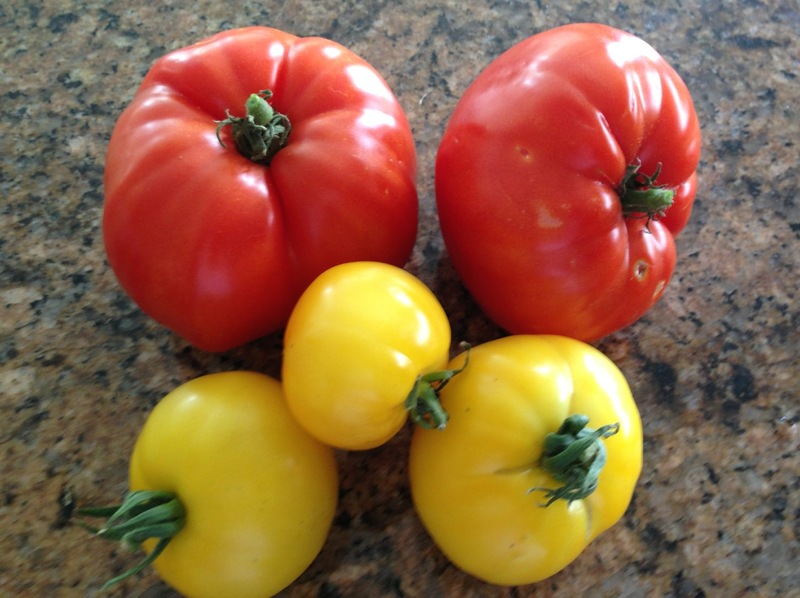 Blogger Solarbeez suggested picking the tomatoes before they’re ripe (thank you Solarbeez for the great suggestion). 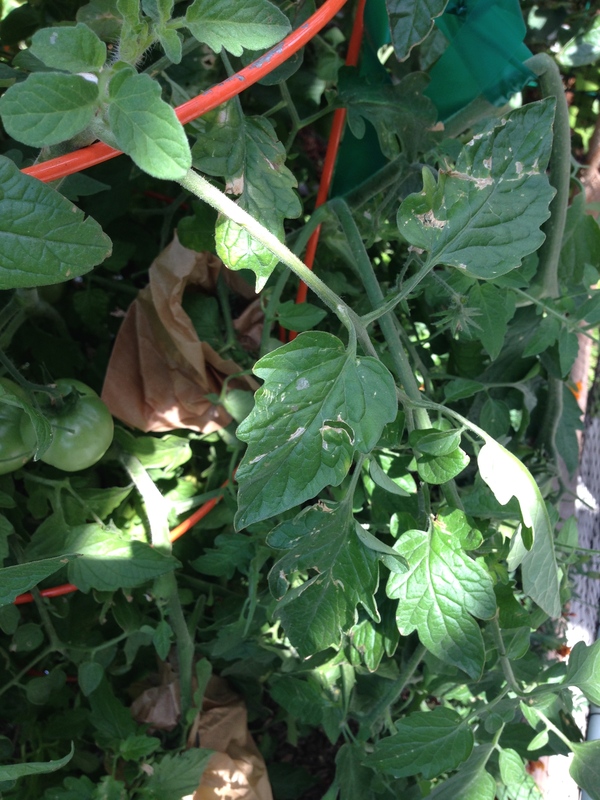 A few days after my post, while volunteering at the Master Gardener Help Desk, I asked two very experienced master gardeners if they had varmints eat their tomatoes, and if so, how they dealt with it. They both responded with sighs and deep groans, but not much else except to suggest maybe keeping an eye on the tomatoes and try to pick them before they’re ripe, or netting, or trapping, or fencing or caging, or poison, or. . . The very next day after my volunteer stint, I received an ANR IPM Blog Post about traps and barriers to keep pests out and I thought how fortuitous it was that I would get a blog post about pests. But, while it was very helpful as far as it went, and I highly recommend using the UC IPM website for information on pest management for crops, orchards and landscapes, it didn’t really help me with my predicament. The reality is that there isn’t any sure-fire fixall to prevent varmints from getting at your tomatoes, cucumbers, or squash. I still don’t know what type of varmint I have. I have gone out at night with a flashlight to try to catch sight of the critter(s), but with no luck. The possibilities are squirrels, opossum, raccoons or perhaps roof rats. Here in California, Tree Squirrels are considered game animals and therefore, a permit must be obtained from the Department of Fish and Game before you can trap them. On the other hand, Eastern Fox squirrels can be controlled in any legal manner without a permit. Then, there are also Ground Squirrels, Chipmunks, and Western Gray Squirrels. Opossums can be easily trapped but rats are wary of new objects or novel foods so they will avoid traps at first. Ugh. There is a lot of information on identifying and catching varmints out there in the webosphere. But, as I’ve stated in previous posts, I am basically a lazy gardener. I only want to expend energy that is commensurate with the pay-off. I took stock of the damage to my tomatoes and there wasn’t much yet. So, I decided I can live with a few partially eaten tomatoes. Therefore, I opted out of trying to bag Varmint X (which is just as well because the thought made me a little squeamish), and I’m bagging my tomatoes instead. Bagging tomatoes entails using brown parchment bags to cover the tomatoes that are just beginning to ripen. The bags are held on the vine by reusable cable ties. 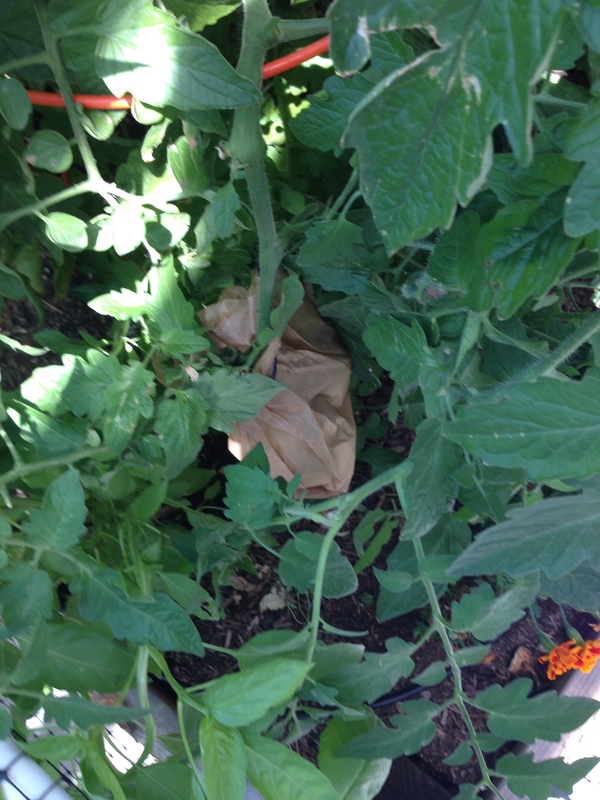 From across the patio, the tomato plants look normal, but up close, you can see brown bags hanging on the vines. I check the plants daily and choose which tomatoes are ready for bagging and which are ready to be picked, and I pick the tomatoes before they are fully ripe, then bring them inside (still in the bag) and let them ripen the rest of the way. 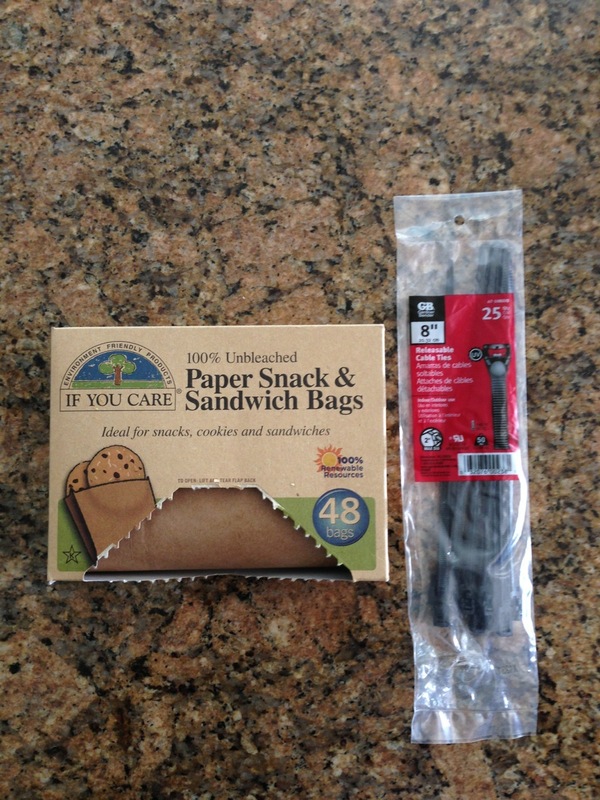 The bags can be reused several times. 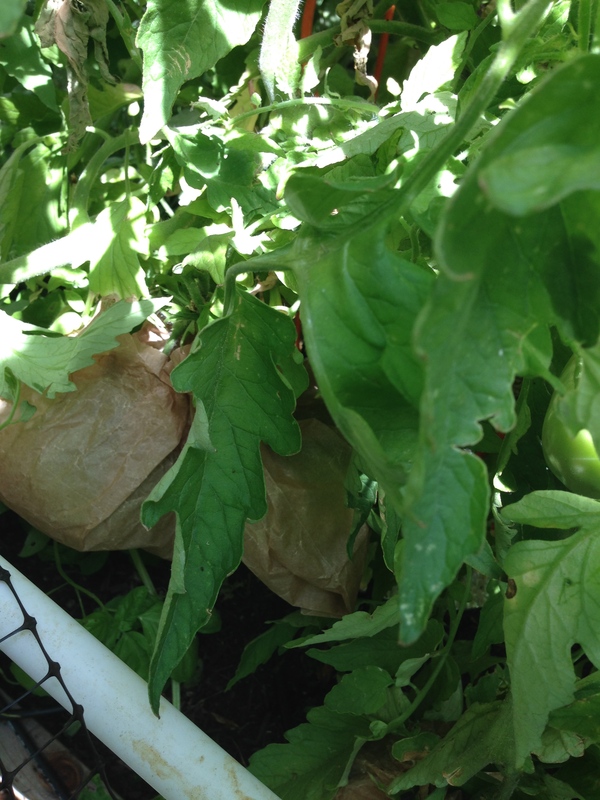 In addition to the bagging, I have small mesh netting covering the tomatoes to make it more difficult for varmints to get in and out of the beds. This combination seems to be working; none of the bagged tomatoes have been chewed on, and the amount of partially eaten tomatoes has dropped significantly. ← It’s the Varmints or Me. . .